The Spanish cheese consortium is the official channel that brings you the widest variety from Spain's surprising panorama of cheeses. 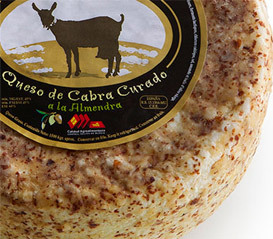 Spain's gourmet cheeses are acclaimed all over the world. Designation of Origin (DO) certifies their quality and authenticity. In addition, the consortium brings you delicious complimentary artisan products to exalt these gourmet cheeses. Elaborated in Cantabria with pasteurised cow milk. Mixed coagulation and a soft paste texture, buttery, smoked on the rind with a typical smoked smell and flavour. Artisanally made in Asturias, using raw milk either cow´s milk or a blend. Its coagulation is mixed and the paste is soft with an internal mould. Its flavour is deep, strong and spicy piquant with an intense undertone. 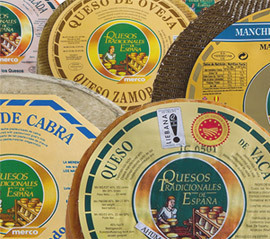 El Consorcio de los Quesos Tradicionales de España S.A has been joined “Tradition and Modernity” for nearly 20 years. The most commonly used milk in the manufacture of cheese is whole milk, mainly due to it's higher milk production numbers. 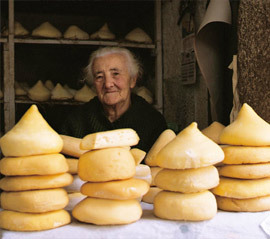 In the Mediterranean, where cows are rare it is more common to use sheep's or goat's milk thus giving an acidity touch to the cheese. It is also possible to mix different kinds of milk, as in the case of Cabrales cheese, which uses a mixture of cow, sheep and goat milk. is a geographical indication applied to the exclusive quality or characteristics of agricultural products or foodstuffs that are fundamentally due to where they are produced, processed and prepared. The fundamental advantage of the IO is that it guarantees the consumer a roughly consistent level of quality and specific characteristics. It is also noted that this organization promotes the productive sector and facilitates access to national producers and international markets.